With an IPX4 splash-proof design, you can wear these headphones while running in light rain or sitting around the pool. And they’re also highly sweat resistant so you can work out without compromising comfort. You don’t have to stop your workout to take that important phone call. With a built-in microphone and Bluetooth connectivity, you can make and answer calls wirelessly from your smartphone. 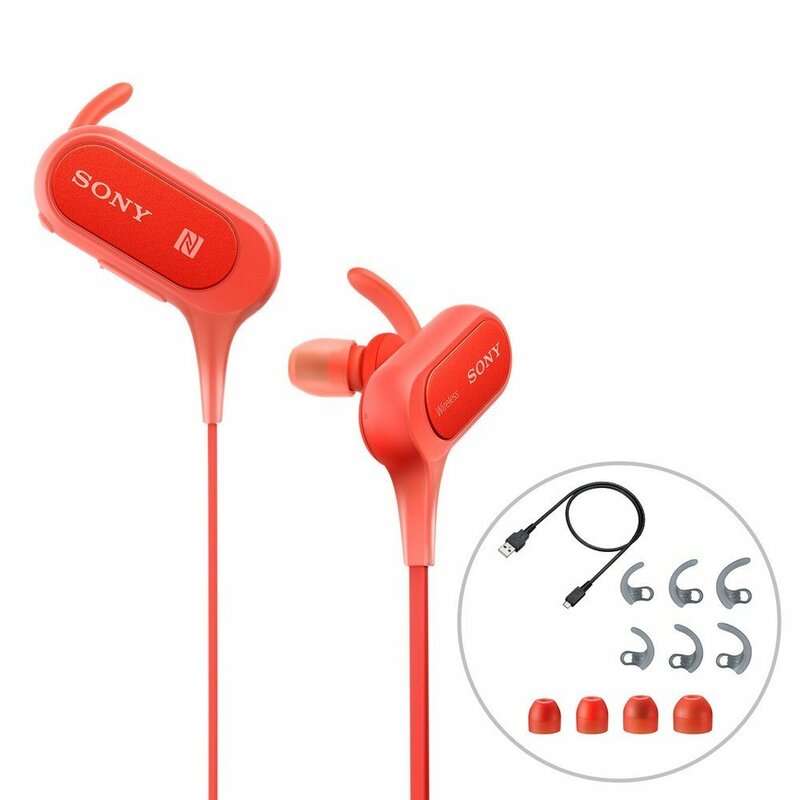 Enjoy the freedom to move with a secure wrap-around headset. 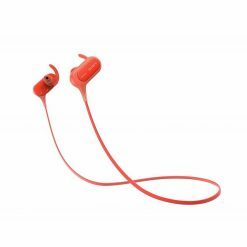 Designed to fit comfortably to your head, this lightweight headset stays in place, so you can run, jump and train harder. 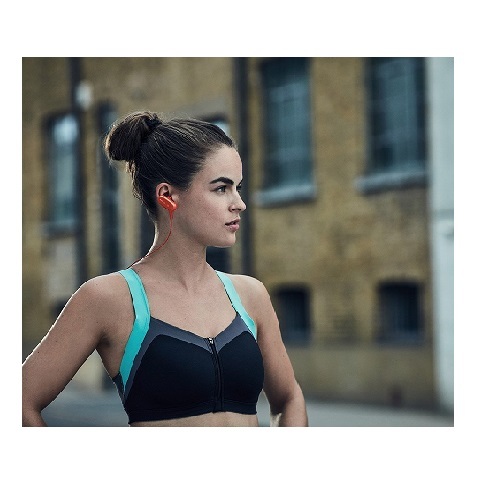 Supplied arc supports provide additional security, so you won’t need to worry about losing your earbuds mid-jog. Available in black, red and blue, the MDR-XB50BS can even match your workout clothes.